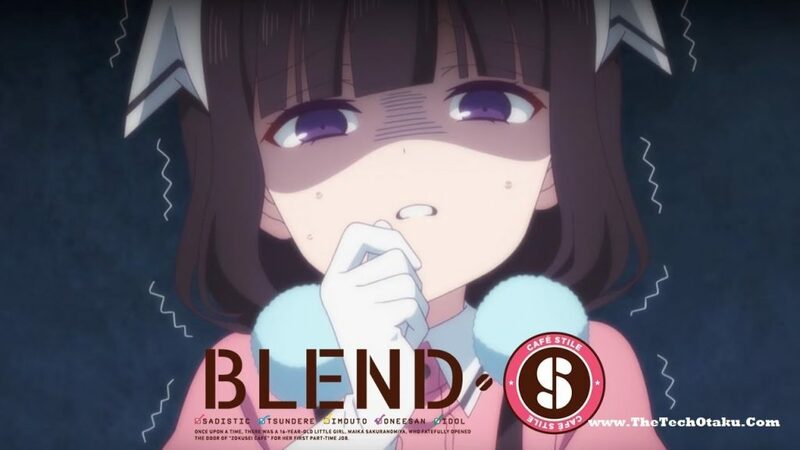 Blend S Season 2 Release Date: Blend S is a popular four strip Manga which was adapted by A-1 pictures. The anime adaptation seemed to have received more ratings and appreciation by the fans all over the world and that is why we are thinking there would be a season 2 as well. Miyuki Nakayama is a known Manga writer who has both written and illustrated the Manga of the same name. Then the TV adaptation of the same name was released for 12 episodes from October 8 – December 24, 2917. If you have already watched Working anime then you might be able to relate both the shows. It is so because both the shows are about Restaurant and different employees working in it. But at the same time Working! Anime is all about the male main character while Blend S is about a female lead character with scary eyes. Though both the shows have much in common we can find huge difference in not just the story line but also in the situation comedy the show presents. Now before we talk about the chances of Blend S second season I would like to tell my opinion about this show which you can read below. Blend S deals with a female lead that happens to have scar eyes that ruined her chances of perfect life and job. But at the end she finds a job in a Restaurant but things won’t be the same for her. The good thing is she can use her scary look at the work and treats customers the same way. Well with the help her sadistic look she finds her perfect job run by an Italia owner who happens to be a pervert of some kind and finds this young girl quite cute. Well she isn’t cute with the look in the eyes but her working conditions ask her to show tsundere and harsh nature towards the customers. Even bother employees have to follow the same rules of treating customers with some personality like tsundere or more. Blend S Season 2 Release Date Confirmed? Since the first season consisted of at least 2 volumes out of the 4 volumes from Manga series. We can expect that we can get few more volumes till the second season is released because the Manga is still ongoing. At the same time they can always use the remaining two volumes to bring out a second season but still no confirmation has been made. But if you are wondering what are the chances that this show will get a second season then I will say it has high chances. Well the answer is simple because Blend S Season 1 was well received and creating a second season can be commercially profitable. On the other hand there are remaining volumes and Manga is still running which hints that second season can be made easily. But the only issue is that most of the production companies have already taken various Anime shows for this year 2018. So it might be sometime before we can see any announcement being made about the Blend S Season 2 Release Date. Blend S anime has got good animations and story line that will make it worth to watch all the 12 episodes. But here is the answer to your question that Blend S second season is going to be released either in summer 2018 or 2019 to be sure. If we can consider how season 1 was released then I must say that second season will follow how first season was released in summer season of 2017. So we can say that Blend S Season 2 will also be released in summer of 2018. Thanks for taking your time to read about the Blend S Season 2 Release Date which seems not far because 2018 year has already started.